The Grand Rapids Community College Board of Trustees held their monthly meeting Monday and discussed a possible tuition increase. 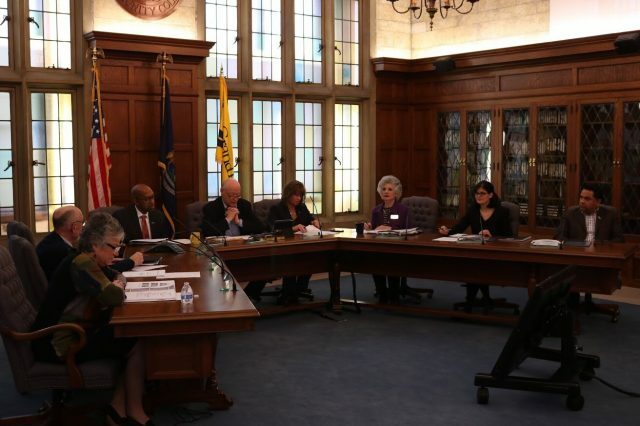 Vice President of Finance and Administration, Lisa Freiberger, and the Director of Budget and Business Services, Nathaniel Lloyd, presented the budget which included a potential one 1 percent (which would roughly equate to a dollar per credit hour) tuition increase for the 2018-19 school year. 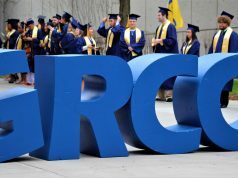 The intention of the tuition increase would be to maintain GRCC’s current revenue ($113,039,137) amid a 3.3 percent enrollment decline. The potential tuition increase will be presented to the Board at the March meeting. In the current budget, the Upward Bound grant program will not be moving forward to the next Fiscal Year. Senator Debbie Stabenow visited Grand Rapids to unveil her New Skills for New Jobs initiative and to visit students working in the center. 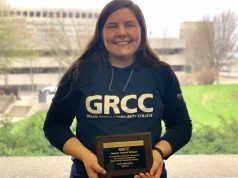 Morgan Brown, the President of the GRCC Chapter of Phi Theta Kappa (PTK) shared information and received praise from the Board for her work for the honor fraternity. Brown announced to the Board that she was the first GRCC student to run for and win the Regional President position of PTK. Brown then announced she would be running for the International President position. A video that PTK created was played, Brown was then reduced to tears when Pink informed her and the rest of the audience that the video finished third in the country for all PTK chapters. A $100 recognition award will be awarded to the GRCC chapter and they will accept the award at a ceremony in May. Director of Workforce Training, Julie Parks, announced to the board that the program has continued to make strides in the last year. The program served 11,706 individuals with an 87 percent completion rate and a placement rate of 93 percent. 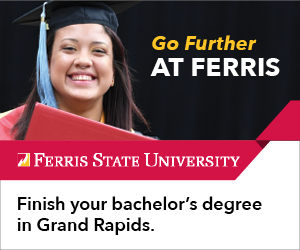 Fifty-seven companies received customized training through the corporate programs that GRCC offered, and 163 companies participated in non-credit apprenticeships; those apprenticeships came primarily through the Electrical Construction Apprenticeship program. In 2017, 421 companies worked with GRCC for Workforce Training sessions, and GRCC was recognized as a Promising Best Practice for Medical Apprenticeship in Dec. 2017. Parks touched on how GRCC also earned a Kellogg “Foundations for the Future” grant to further progress for the program. She also mentioned that the Workforce Training is implementing four new programs shortly. The first one is a heavy equipment operations training that would be done with the Michigan Transportation Association and AIS Construction Equipment. The second is an unmanned vehicle drone program to help students obtain their Federal Aviation Administration license as well as a three-wheeled motorcycle training. The one Parks was most excited about was the Public Works Academy to be launched in March. Vice President of College Advancement and Executive Director of the GRCC Foundation, Kathy Mullins, announced to the Board that GRCC had given out $1,039,014 in scholarships to 857 students which is a 129 student increase from the previous academic year. Finally, the President of the GRCC Student Alliance, Cale Merdzinski, recognized student leaders for, “the hard work they’ve done this semester,” he said. Merdzinski also made mention of the Student Leadership Banquet. The event will feature eight student leadership awards, four of which are individual awards, three group awards and one faculty/adviser award. Students can learn more and vote on OrgSync until 5 p.m. on Friday, Feb. 23. Students and faculty can nominate colleagues, friends and themselves the awards for the event taking place on March 29. Time and location to be announced. The next Board of Trustees meeting will take place on Mon., March 19, at 4:15 p.m. in the Board Library.